Well, we’ve had a whole load of fun growing seeds in these coir pellets. Highly entertaining for children as they expand magically when soaked in water, with the added bonus of creating a lot less mess than spooning compost into pots. Coir is a fibre harvested from coconut husks and it provides the perfect growing medium for seeds. And when the seed is ready to be planted out (as evidenced by the roots peeping out of the coir in the photograph), pop the whole thing into the soil and the coir pellet will biodegrade. 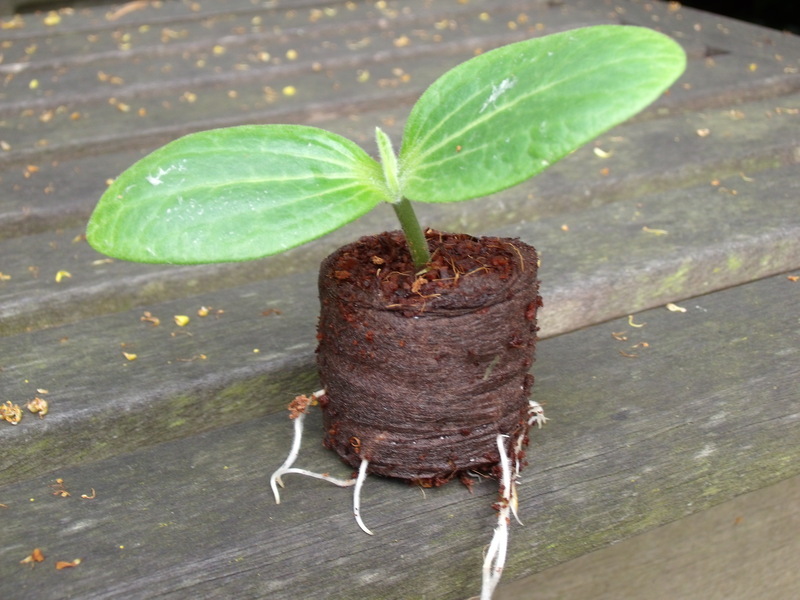 Minimal root disturbance for the seedling – manhandling seedlings out of pots is often tricky for little hands and seedlings don’t always come out of it well – and no plastic pots to store or dispose of. So, what’s not to like? Not much really. Some people complain that coir dries out too easily so you may need to be more vigilant on the watering. And I haven’t done the maths but I’m guessing they’re more expensive than a bag of compost and some plastic pots or trays. But great if you don’t grow huge numbers of plants from seed and you don’t want to store big bags of compost and lots of plastic pots. A big thumbs up from us. Categories: containers and pots, courgettes | Permalink.